The wedding season has finally arrived. Indian weddings are both elaborate and diverse. Every community, has its own set of rituals, traditions and ceremonies making the entire wedding extravaganza a grand and a memorable affair for both the couple and their families. One such popular Bengali wedding ritual is the ‘Aiburo Bhaat’- which is a sort of a send off meal arranged by the families of both the bride and the groom. ‘Aiburo’ means an unmarried young adult male or female and ‘bhat’ means rice – it is the final feast that the young bride or bridegroom are served right before they get married. Traditionally, it is hosted by the family a day before marriage but nowadays families host the feast for their loving children two-three days in advance too. For Bengalis, ‘rice’ has immense cultural significance. It is considered as a symbol of prosperity. There are number of ceremonies associated with rice, like ‘Mukhebhaat’ or Annaprashana which is the ceremony held for toddlers to mark the occasion of feeding them solid food for the first time. Then there is a bou bhaat, where the in-laws make a lavish feast for their newly wedded bride, consisting of rice, fish, vegetables and fritters. Aiburobhaat is symbolic of the last meal the bride and groom have right before tying the knot. 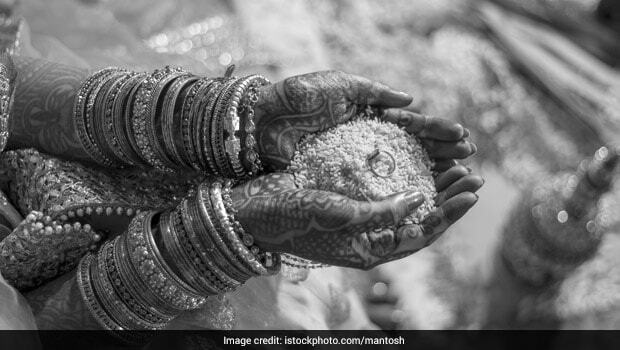 It is all the more special for the bride as it is her final meal in her maternal home, post which she would shift to her new home with her husband. Parents and families make the affair a grand one, by pampering their children with the best of bengali delicacies like rice, Channa Dal, Doi Maach, Chingri Maach (prawn curry), shukto, luchhi/Puri, Kosha Mangsho, mango or tomato chutney, Aloo Posto, Payesh, Roshogolla and a lot more. Few close relatives also invite the bride-to-be for similar feast and they encourage the bride to finish her plateful of food (which is overloaded with dishes). It is considered as an auspicious omen if the bride or the groom manages to finish their entire plate and leave no morsel of food behind. The meal is traditionally prepared at home. So, the next time you are invited for a Bengali wedding make sure you get to attend this grand feast and indulge in some of the most delicious and traditional Bengali dishes. And as you enjoy your share of roshogollas, don’t forget to cheer for the bride and groom too!